Home renovations can be stressful enough without having to battle with bad contractors. 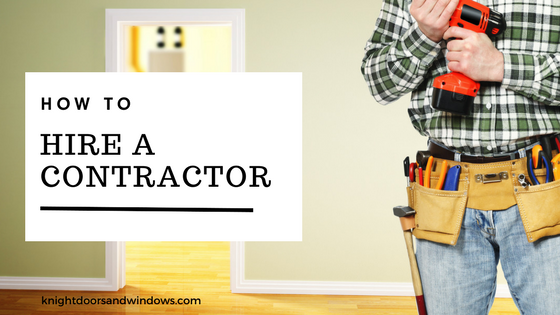 We’d like to make it a bit easier for when it comes to knowing how to hire a contractor. These 8 tips are some of the most common we hear across the industry, and we want to share them with you! Determine what type of contractor you need. There are a number of different contractors available depending on your project. It’s important to determine what type best suits your home renovation needs. If your renovation project is extensive, or combines a large number of renovations and repairs, you may want to consider a professional renovator to act as a general contractor. They would be responsible for organizing and taking responsibility for all aspects of the project. You may want to consider a specialty contractor if you’re renovating a specific area, such as your kitchen or bathroom. Most of these specialty firms provide design assistance. They usually manufacture or sell the products they install. Large product retailers usually offer contract installation services for the products they sell. This allows you to deal directly with the retailer for all aspects of the work and payment. In turn, they should provide you with qualified installers and guarantee their work. When it comes to these types of repairs, specialized trade contractors are likely best suited to your needs. 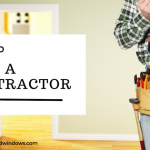 Know how to check out a contractor. Before deciding who to hire, you need to fully “check-out” your options. Even if you get a referral from friends or neighbours, you should still check references and the reputation of any contractor before hiring them. You need to be able to trust a contractor in your home, so it’s important that you are comfortable with them. Qualifications: How long have they been doing this? How does their company operate? Do they have experience with similar jobs? References: Ask to contact at least three past customers who had similar projects to yours. Suggestions: What do they think of your project? What ideas can they offer to improve it or help you get more value for the money? Estimate: Ask for a ballpark estimate of costs for your project. Check out this Contractor Interview Worksheet to help you conduct these interviews. Just because a contractor provides references, it doesn’t necessarily mean they do good work. Never assume this! You can learn a lot from past customers, whether they were satisfied or not. 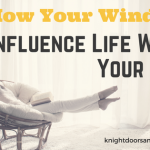 Every contractor has strengths and weaknesses, and these customers will be in the best position to tell you what they are. Was the project completed on time, on budget, and to satisfaction? Were there any problems or delays? How were they handled and resolved? If a contractor will not provide references, you shouldn’t consider hiring them. Check out this Customer Reference Interview Worksheet to assist you in asking consistent yet important questions. Getting the best price for your project is critical. Make sure you have a budget set before you start reviewing quotes. Determining costs for small projects is usually simple. But you want to make sure that all contractors you are getting quotes from are providing the same services and materials. For complex projects, it mate take a few conversations before they can begin determining costs. Experienced renovators can offer a price range on the spot baed on similar jobs they have done in the past. This can be helpful upfront, but be aware that the cost of a project can vary greatly. A guesstimate is NOT a price quote. If a price quote is written down, it represents a renovators offer to perform your project for a specified price based on the description of work included in the quote. Contractors will usually require an upfront payment or deposit if you accept a quote and sign a contract. Deposits should never exceed 100% of the total cost of work. The exception to this would be if a contractor has to purchase custom materials or products that must be pre-paid and are not returnable. If accepted, a written price quote is legally binding and becomes part of the contract between you and the contractor. Once you have chosen a contractor and have accepted their price quote, it is time to sign a contract. The Parties: You and the contractor. It should include addresses, phone numbers, email addresses and the contractors business or GST number.